I did some minor detailing, added couplers and put the Koef to work. A transfer run to Talheim was completed successfully. However, the return with only two cars barely made it up the hill. This model simply doesn't have enough traction to pull more than two cars on a 2% grade. That's ok. 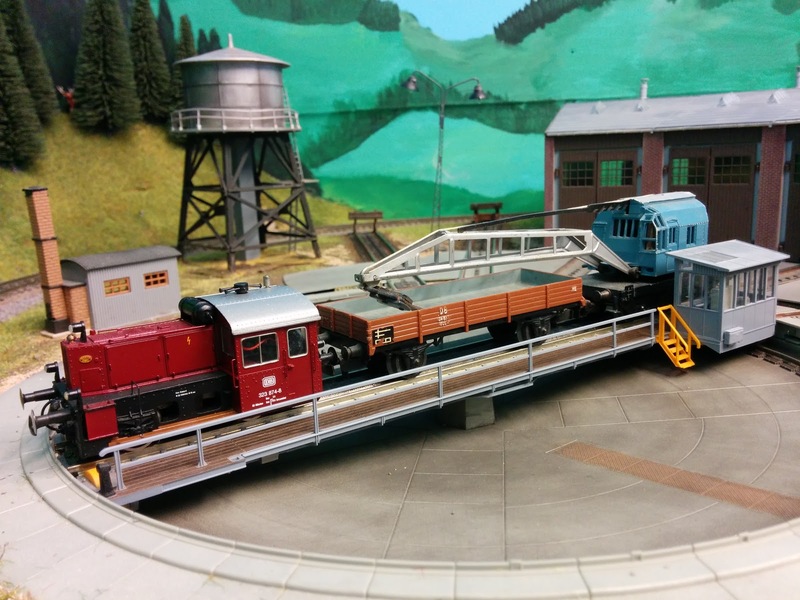 It's intended to perform switching duties in Emsingen only. As expected, the Koef II also does not forgive dirty rails, but performs significantly better than I expected. I might spring for a LokPilot Micro 4.0 with Powerpack if switching with this little loco is as much fun as I'm hoping for. 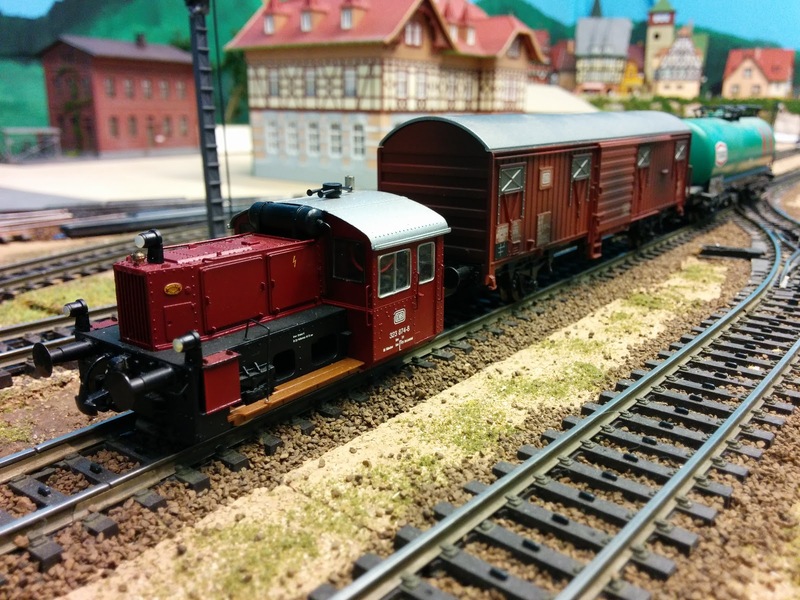 To finish off the conversion series of BRAWA's 0458 Koef II, here are some shots of the Koef working in Emsingen. I'm pleased to confirm that the Koef II and the work crane fit on the turntable together.